“Dancing through Latin America” is a show that has been in existence since 2002. It is the culmination of children (6 years old and up) meeting every Saturday to learn how to dance folkloric dances and the history from all the countries in Latin America. The Carolinas Latin Dance Company (CLDC) provides these children an opportunity to learn from each other’s diversity and assists them in developing awareness of cultural acceptance. We understand that becoming a sponsor means making an investment. As our partner, your organization will be recognized in our community as one that supports Latino cultural art events, enriching and contributing to the enhancement of acceptance and understanding of cultural diversity. The registration period is from August to September. The Carolinas Latin Dance company follows the Charlotte Mecklenburg School System Calendar. Our annual session begins Early fall and ends in the Spring. Our current session starts in August 27th, 2017 and ends May 5th, 2018. If you are interested in becoming one of our dancers, check our registration information. Saturday, August 05, 2017 from 10 a.m. to 12:00 p.m.
Saturday, August 12, 2017 from 10:00 a.m. to 12:00 p.m.
Saturday, August 19, 2017 from 10:00 a.m. to 12:00 p.m.
You can also download the registration packet, fill it up and e-mail it back to us and make any payments online. There is a monthly fee of $50.00 per child. The following discounts apply if you are registering siblings: $90.00 for two children and $130.00 for three children. The payment is due on the first Saturday of every month. The annual registration fee is $40.00. Limited scholarships are available in September upon application and approval process. Children and young adults interested in joining The Carolinas Latin Dance Company must register first, at the beginning of the yearly session, in order to be able to participate in the Saturday weekly classes, perform in the different socio-cultural events we are invited to, as well as in our featured “Dancing Through Latin America” annual performance. Classes are held once a week, every Saturday, from 9:30 a.m. to 2:30 p.m. at Spirit Square, 345 N. College St. Charlotte, NC 28202. The time of the class depends on the level of the student. The length of the class is from one hour to three hours. 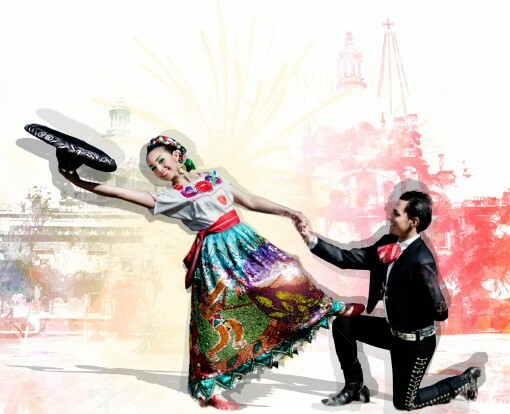 Invite CLDC to dance folkloric dances that fit your event budget. No event is too small or too big. Our professional dancers can dazzle guests at your corporate events, weddings, quinceaneras, birthday or anniversary parties. The cost of the performance depends on the length of the presentation. Thank you for considering The Carolinas Latin Dance Company for your cultural entertainment needs!